Colonial Life Insurance Company (CLICO) must first pay off its debts to depositors in Guyana before being allowed to conduct business here again. This is the firm position of Former President, Bharrat Jagdeo, now opposition leader who today (April 3, 2017) weighed in on reports that CLICO was looking to re-open its doors in Guyana after being forced to liquidate back in 2009 leaving thousands in limbo. 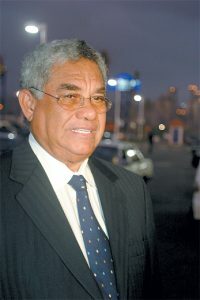 The Opposition Leader and General Secretary of his Peoples Progressive Party (PPP), today met with media operatives at Freedom House for the party’s weekly press briefing and said while investors are welcomed into the country the CLICO matter cannot be handled anecdotally and in a fashion meant to score cheap political points. Asked whether his position was fair since it was CLICO (Guyana) under his presidency and then Chief Executive Officer, Geeta Singh-Knight that made the risky business transactions in the first place, Jagdeo said he was simply responding to the company’s public overture to apologize. The former president said CLICO must be made to pay not only on the principal amounts owed but with interest for lost earnings. According to Jagdeo, the current Government has at its disposal in excess of US$30B to settle all outstanding debts owed by CLICO and that the company would in fact not have to fork over a large amount but rather pay the difference on what is still owed to large depositors. “The money sitting there can be used, they (CLICO) may not have to put in much more,” he said. According to the Opposition Leader, Guyana is one of the few countries to have settled the CLICO debts at face value following the fall out that had devastating consequences across the region and pointed to countries such as Trinidad and Tobago where the same did not obtain. Guyana, he said, did not have to resort to its treasury since it went out to tender to offload some of the CLICO properties earning just over US$30M which, according to Jagdeo, is sitting dormant in bank accounts. As it relates to CLICO returning to Guyana, the former president—under whose presidency saw the demise of CLICO (Guyana)—used the occasion to also caution against the practice of interlocking directors, which led to the bad decision making process in the first place. According to Jagdeo, the company had at one time, Directors sitting on the boards of Bahamas, Trinidad and Tobago and Guyana branches which led to a case where decisions were ot necessarily taken in the best interest of a specific branch.